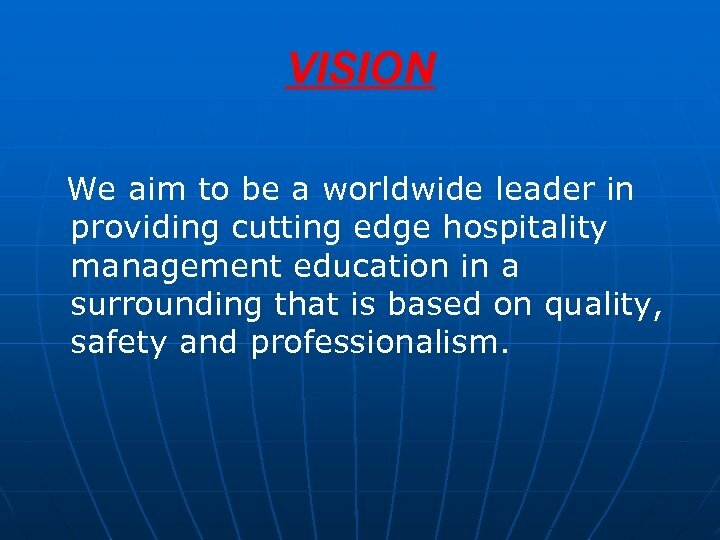 VISION We aim to be a worldwide leader in providing cutting edge hospitality management education in a surrounding that is based on quality, safety and professionalism. 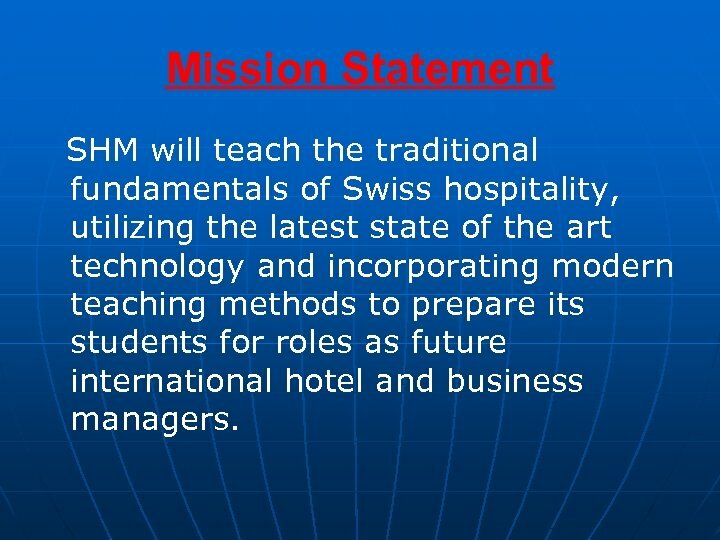 Mission Statement SHM will teach the traditional fundamentals of Swiss hospitality, utilizing the latest state of the art technology and incorporating modern teaching methods to prepare its students for roles as future international hotel and business managers. 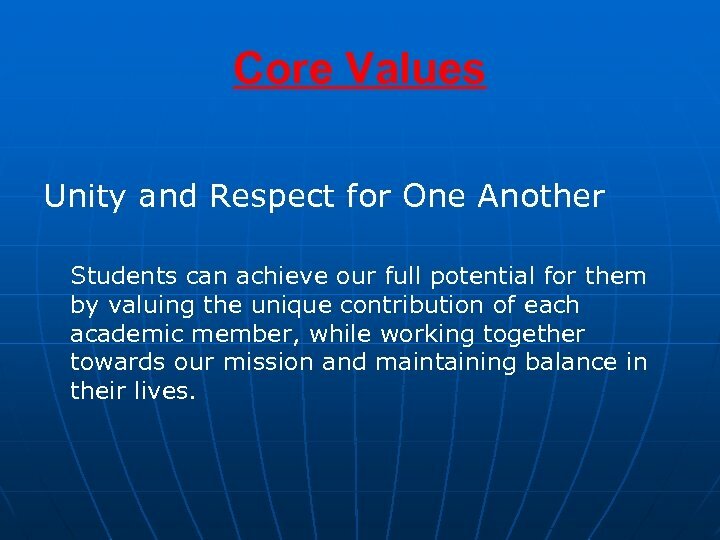 Core Values Security Our prime concern in Lenk is the safety of all our students for both learning and working. Lenk at the end of the Simmental valley and away from major cities is perfect for secure living and learning thus giving parents’ piece of mind whilst their children are away from home. 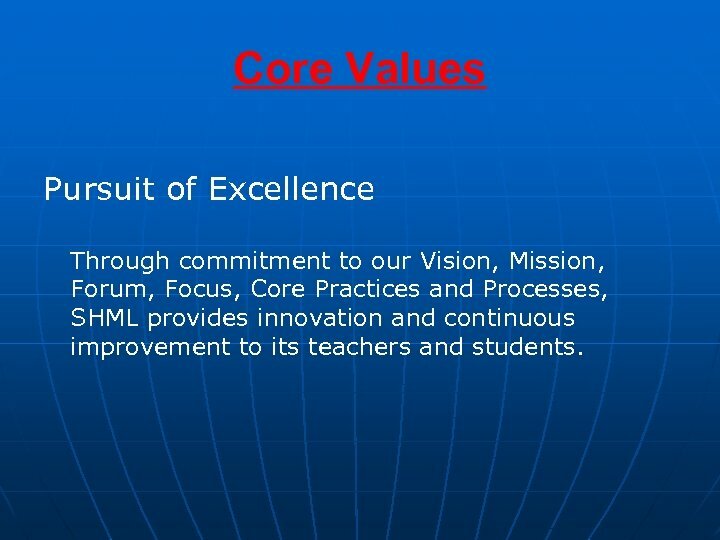 Core Values Pursuit of Excellence Through commitment to our Vision, Mission, Forum, Focus, Core Practices and Processes, SHML provides innovation and continuous improvement to its teachers and students. Core Values Unity and Respect for One Another Students can achieve our full potential for them by valuing the unique contribution of each academic member, while working together towards our mission and maintaining balance in their lives. 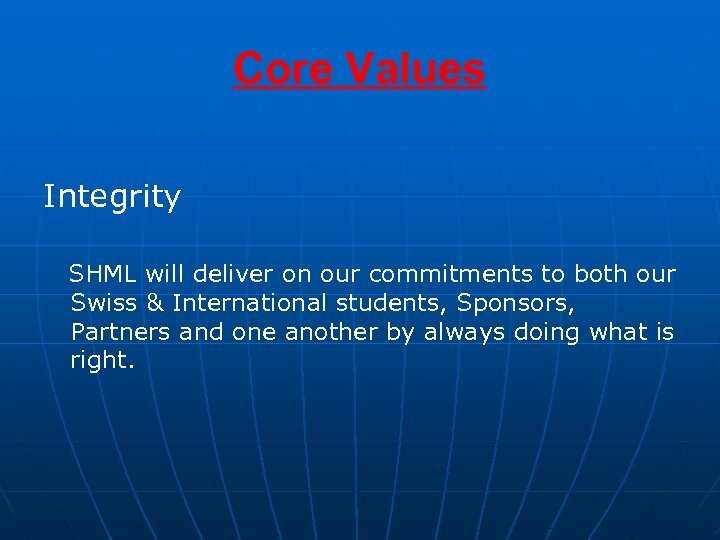 Core Values Integrity SHML will deliver on our commitments to both our Swiss & International students, Sponsors, Partners and one another by always doing what is right. 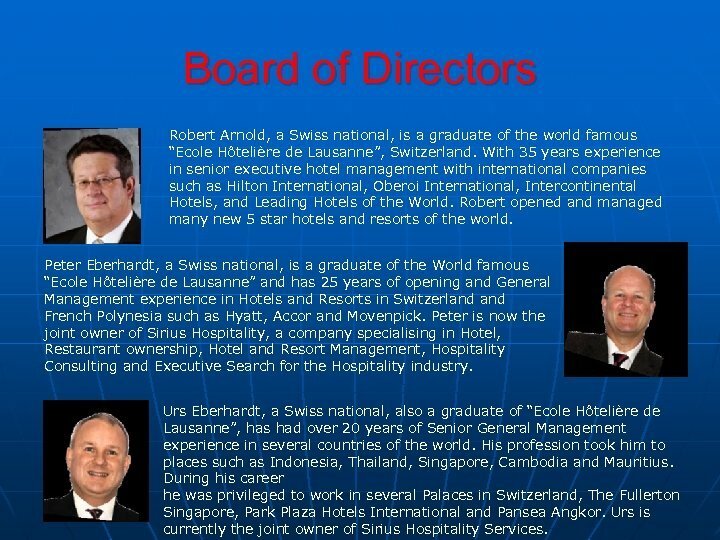 Board of Directors Robert Arnold, a Swiss national, is a graduate of the world famous “Ecole Hôtelière de Lausanne”, Switzerland. 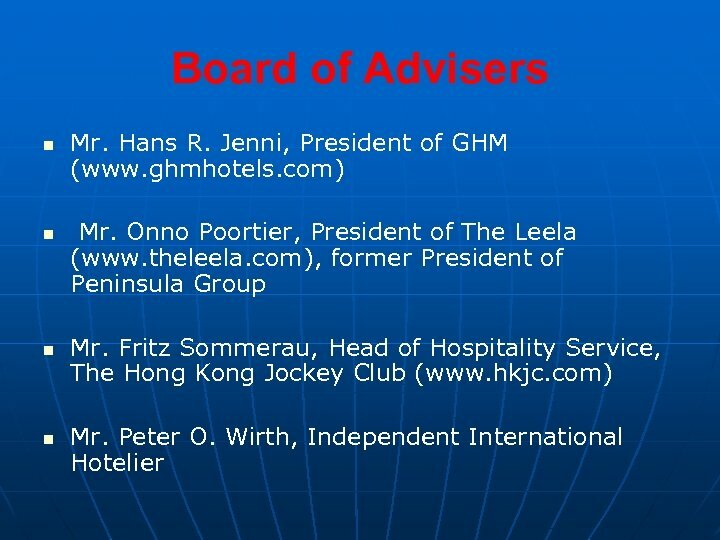 With 35 years experience in senior executive hotel management with international companies such as Hilton International, Oberoi International, Intercontinental Hotels, and Leading Hotels of the World. Robert opened and managed many new 5 star hotels and resorts of the world. Peter Eberhardt, a Swiss national, is a graduate of the World famous “Ecole Hôtelière de Lausanne” and has 25 years of opening and General Management experience in Hotels and Resorts in Switzerland French Polynesia such as Hyatt, Accor and Movenpick. Peter is now the joint owner of Sirius Hospitality, a company specialising in Hotel, Restaurant ownership, Hotel and Resort Management, Hospitality Consulting and Executive Search for the Hospitality industry. Urs Eberhardt, a Swiss national, also a graduate of “Ecole Hôtelière de Lausanne”, has had over 20 years of Senior General Management experience in several countries of the world. His profession took him to places such as Indonesia, Thailand, Singapore, Cambodia and Mauritius. During his career he was privileged to work in several Palaces in Switzerland, The Fullerton Singapore, Park Plaza Hotels International and Pansea Angkor. Urs is currently the joint owner of Sirius Hospitality Services. 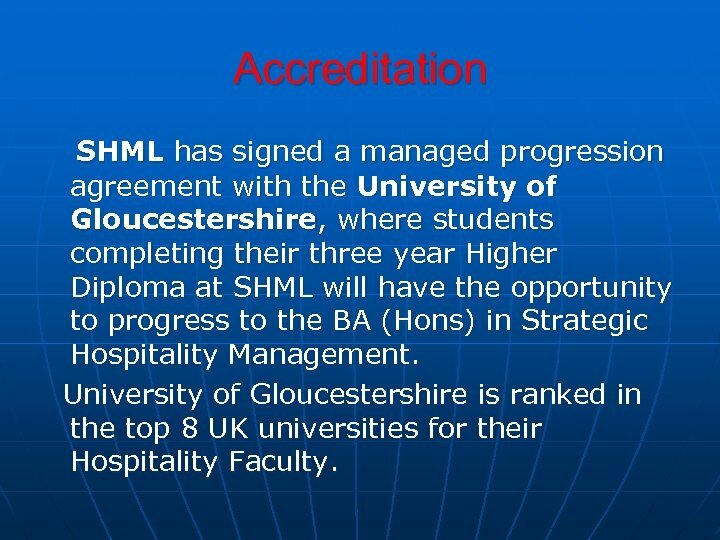 Accreditation SHML has signed a managed progression agreement with the University of Gloucestershire, where students completing their three year Higher Diploma at SHML will have the opportunity to progress to the BA (Hons) in Strategic Hospitality Management. University of Gloucestershire is ranked in the top 8 UK universities for their Hospitality Faculty. 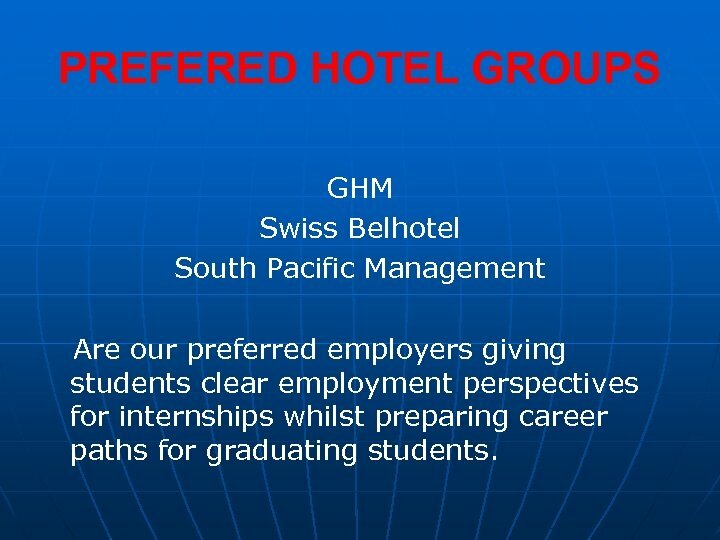 PREFERED HOTEL GROUPS GHM Swiss Belhotel South Pacific Management Are our preferred employers giving students clear employment perspectives for internships whilst preparing career paths for graduating students. 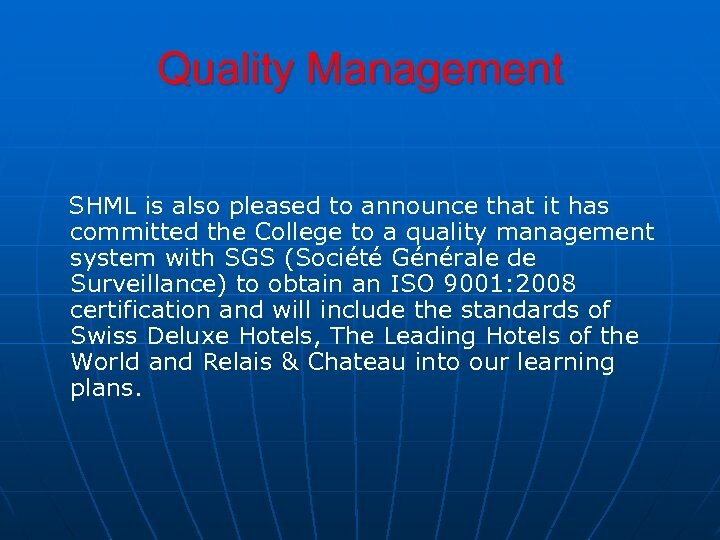 Quality Management SHML is also pleased to announce that it has committed the College to a quality management system with SGS (Société Générale de Surveillance) to obtain an ISO 9001: 2008 certification and will include the standards of Swiss Deluxe Hotels, The Leading Hotels of the World and Relais & Chateau into our learning plans. 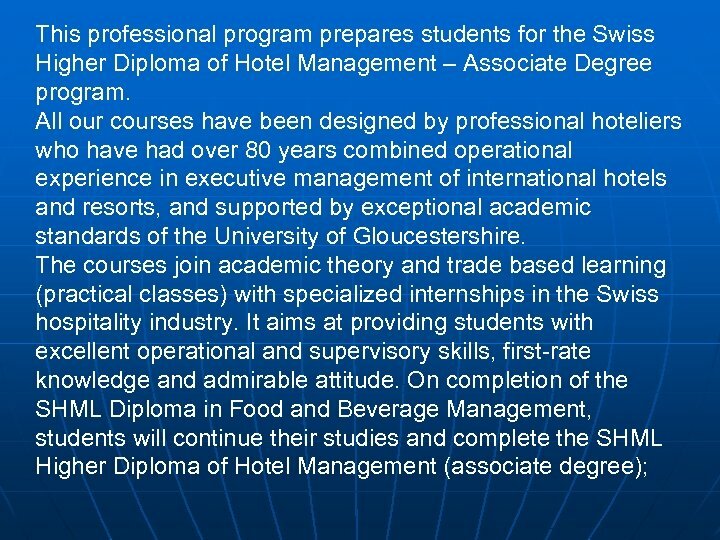 Internships have always been seen in Switzerland as a very important part of the hospitality educational process as it offers students a wonderful opportunity to put into practice learning outcomes from the previous college semester. 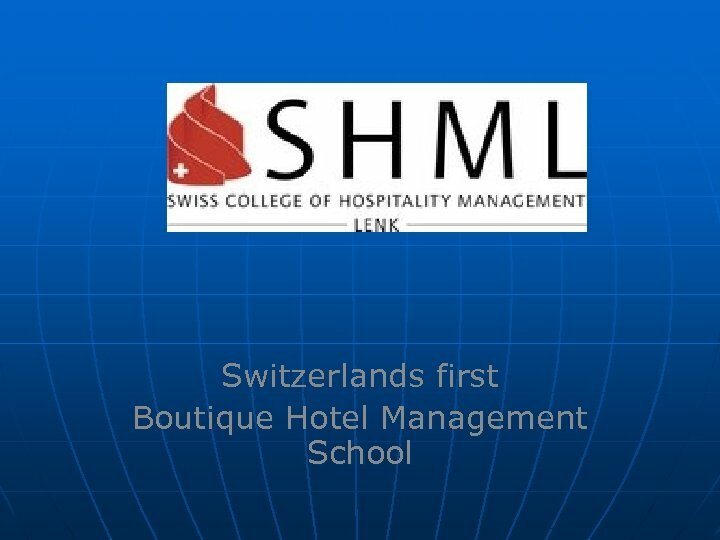 SHML follows this important practice and will help all students find good internship jobs in Switzerland. Internships allows the students to practice their language skills, allow discoveries of new destinations, provide a paid full work experience, increase employability with certificates of employment, and open the doors to a permanent job. During the five or six month internship, Students will develop a broad range of skills that will prepare them for future managerial positions. 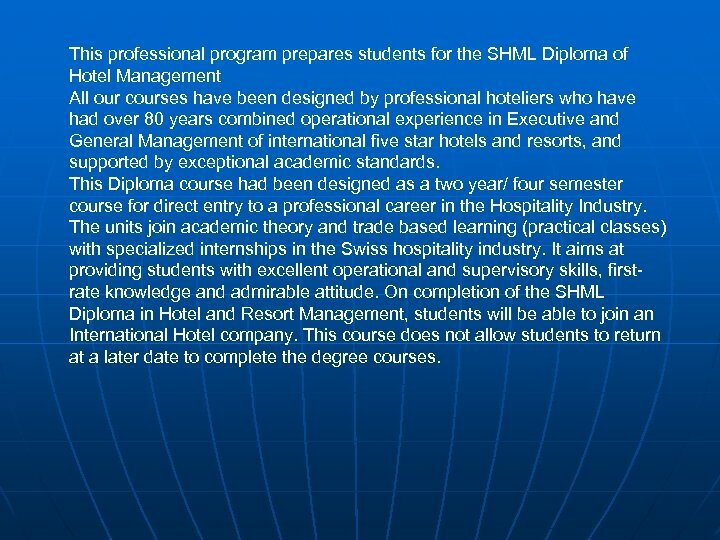 This professional program prepares students for the SHML Diploma of Hotel Management All our courses have been designed by professional hoteliers who have had over 80 years combined operational experience in Executive and General Management of international five star hotels and resorts, and supported by exceptional academic standards. 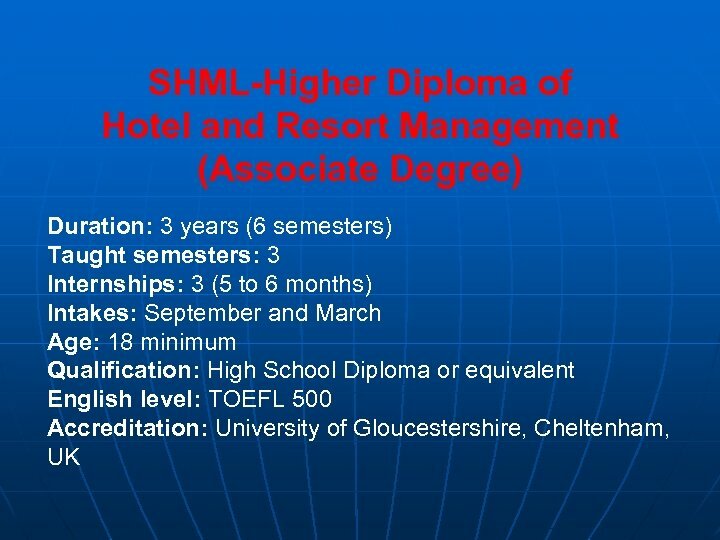 This Diploma course had been designed as a two year/ four semester course for direct entry to a professional career in the Hospitality Industry. 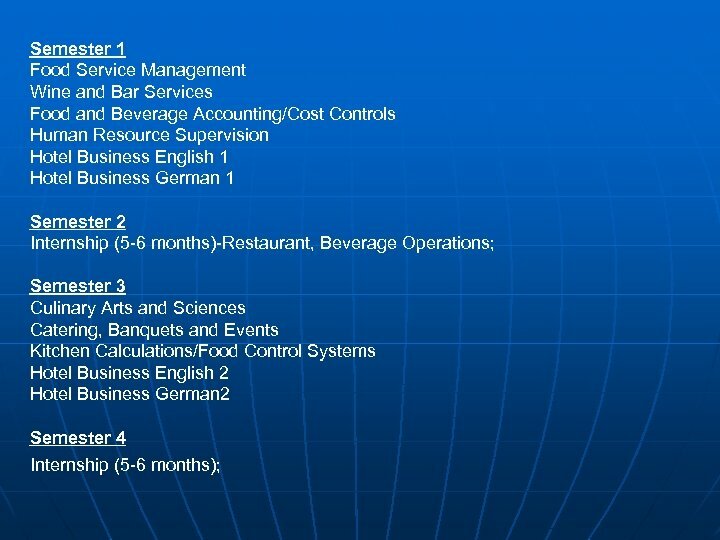 The units join academic theory and trade based learning (practical classes) with specialized internships in the Swiss hospitality industry. It aims at providing students with excellent operational and supervisory skills, firstrate knowledge and admirable attitude. 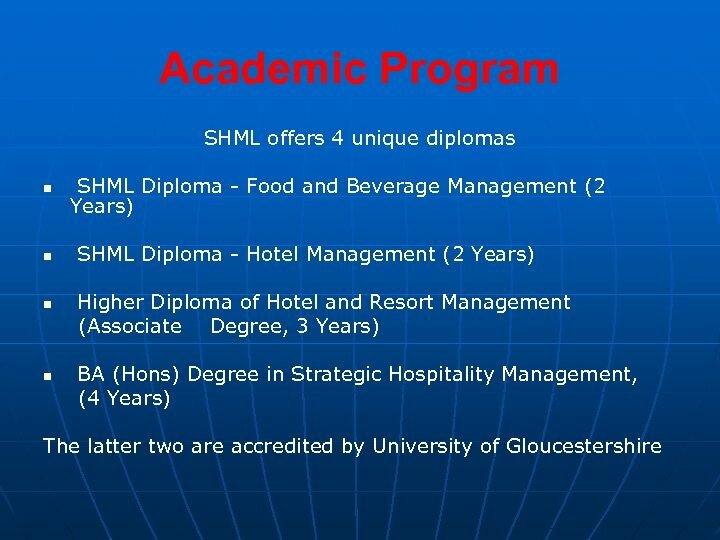 On completion of the SHML Diploma in Hotel and Resort Management, students will be able to join an International Hotel company. 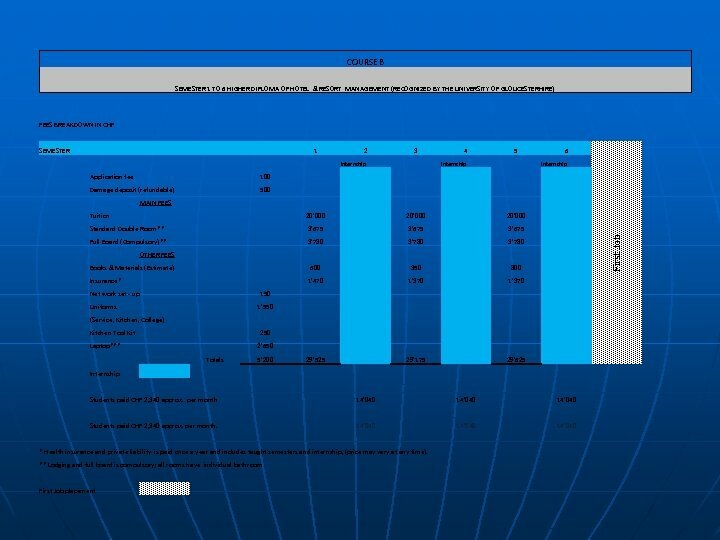 This course does not allow students to return at a later date to complete the degree courses. 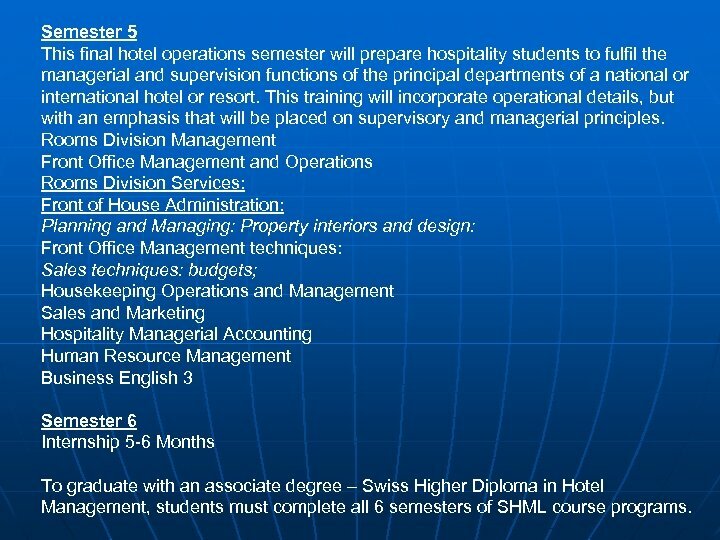 Semester 5 This final hotel operations semester will prepare hospitality students to fulfil the managerial and supervision functions of the principal departments of a national or international hotel or resort. 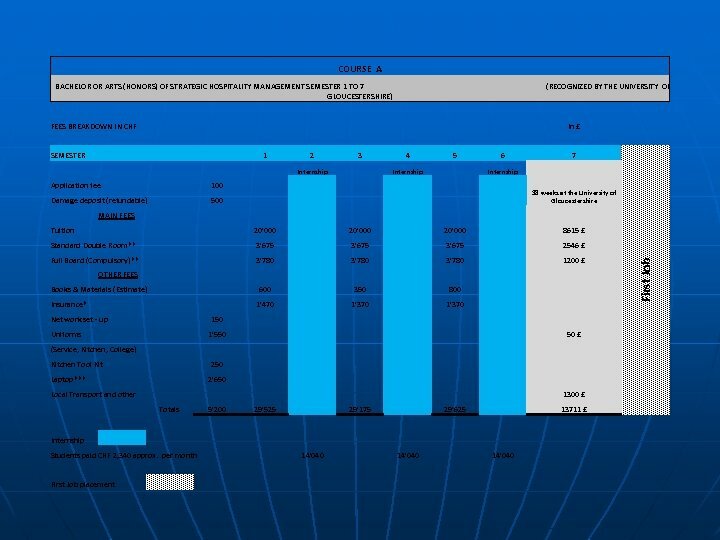 This training will incorporate operational details, but with an emphasis that will be placed on supervisory and managerial principles. 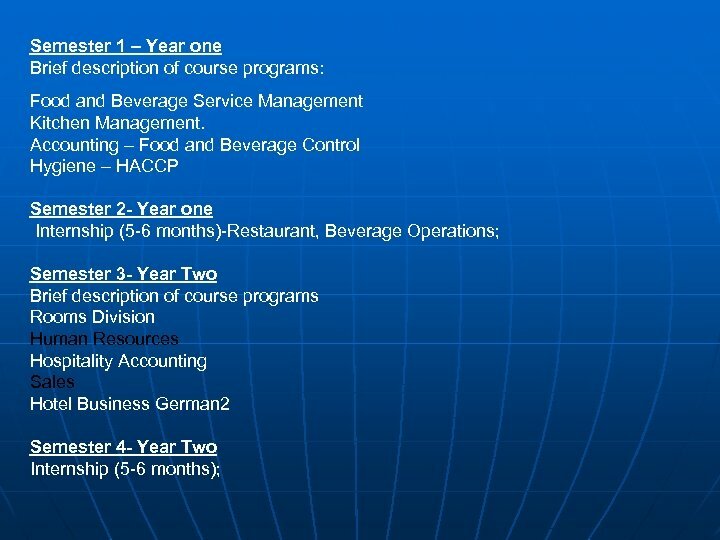 Rooms Division Management Front Office Management and Operations Rooms Division Services: Front of House Administration: Planning and Managing: Property interiors and design: Front Office Management techniques: Sales techniques: budgets; Housekeeping Operations and Management Sales and Marketing Hospitality Managerial Accounting Human Resource Management Business English 3 Semester 6 Internship 5 -6 Months To graduate with an associate degree – Swiss Higher Diploma in Hotel Management, students must complete all 6 semesters of SHML course programs. CAMPUS FACILITIES The campus is a fully operational hotel that has been recently been renovated and is located in the centre of Lenk. 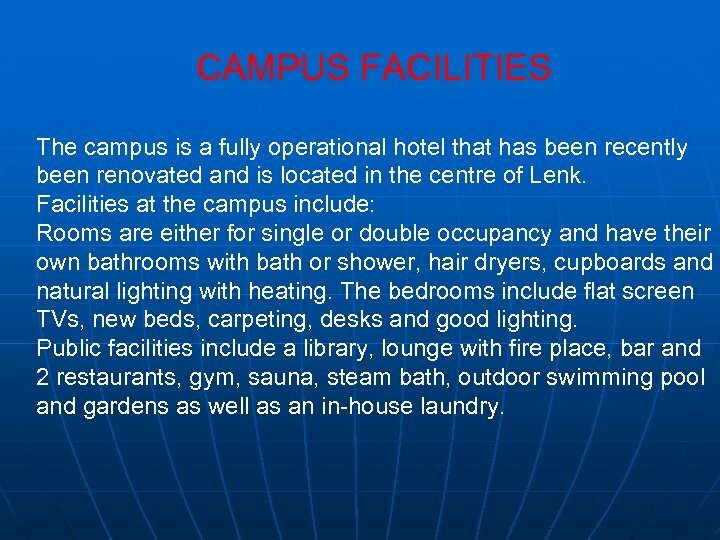 Facilities at the campus include: Rooms are either for single or double occupancy and have their own bathrooms with bath or shower, hair dryers, cupboards and natural lighting with heating. The bedrooms include flat screen TVs, new beds, carpeting, desks and good lighting. Public facilities include a library, lounge with fire place, bar and 2 restaurants, gym, sauna, steam bath, outdoor swimming pool and gardens as well as an in-house laundry. 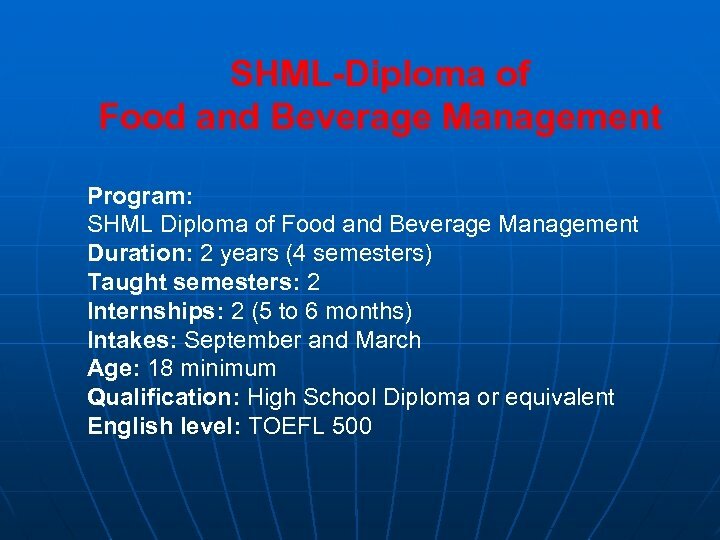 Successful completion of years one and two provides the Student with 2 certificates and a Diploma of Food and Beverage Management. 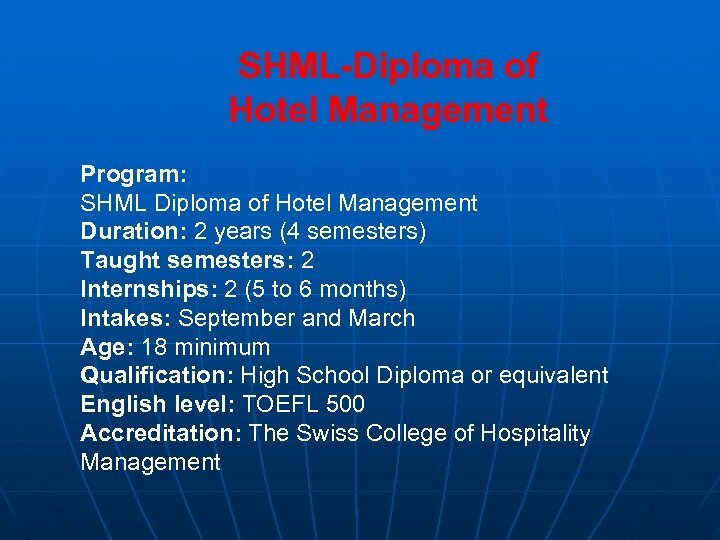 Students successfully completing year 3 will graduate from SHML with a Swiss Higher Diploma (or as it is commonly known outside of Switzerland - an Associate Degree) in Hotel Management. 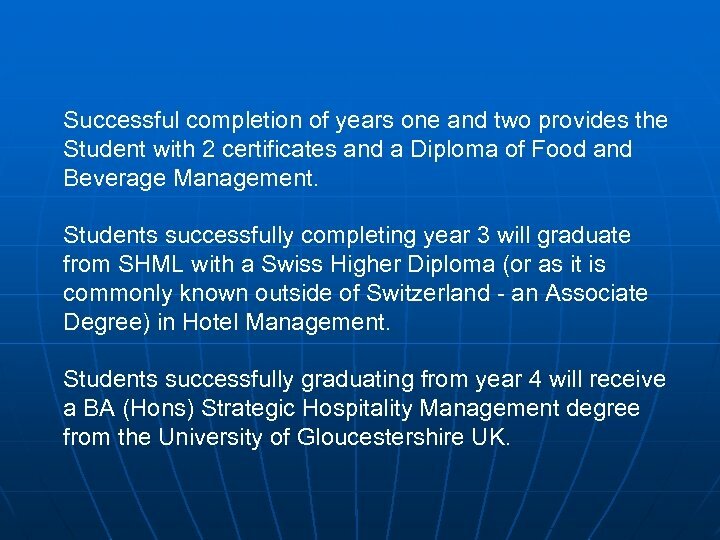 Students successfully graduating from year 4 will receive a BA (Hons) Strategic Hospitality Management degree from the University of Gloucestershire UK.